Signup is open for TRI THE DIRT XTERRA Victoria and our second edition is going to be EVEN BETTER! This camp is specifically focused on the XTERRA Victoria course and athletes who have signed up for XTERRA Victoria race save $25 and alumni from Tri The Dirt Bear Mountain save an additional $25! We are rolling out the 2018 Tri The Dirt team gear so if you want to be part of the first year of TTD sign up quickly. 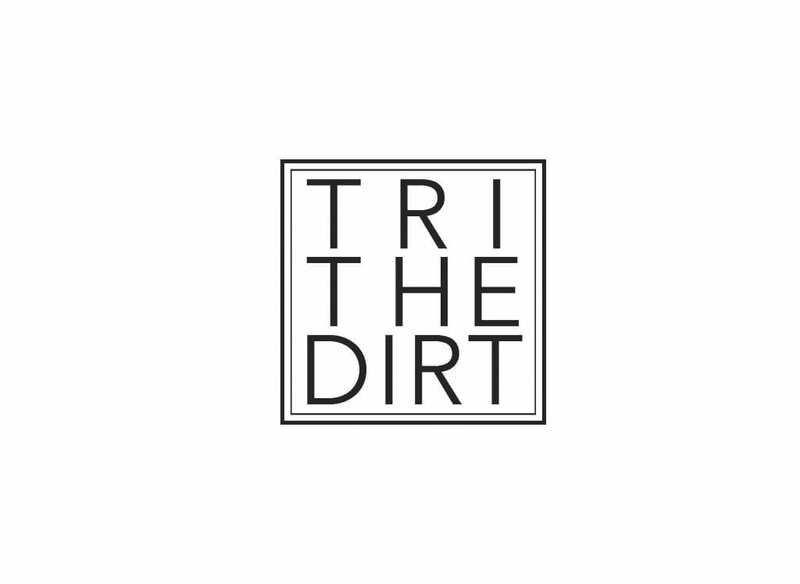 Tri The Dirt XTERRA Victoria edition is June 8-10! You should plan to be in Victoria for a 5:30pm open water swim session on Friday night June 8. The camp will run to approximately 4pm on Sunday June 10 with full days on Saturday and Sunday. The final itinerary will be out in two weeks time. 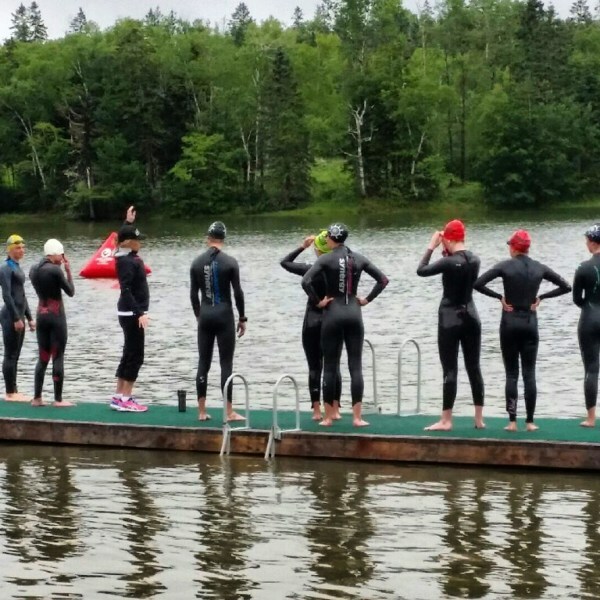 Whether you are a beginner who is just starting your adventures on the dirt or a veteran looking to find more free speed TRI THE DIRT is the camp for you! This is also an excellent opportunity for riders to come to familiarize with the course and receive coaching on how to best race at this venue. This is a NON COMPETITIVE skills based camp. This is not about smashing yourselves with exertion, it is about mindful improvement through better execution. Everyone will improve and will swim/bike/run/transition at their level. The learning environment is positive, fun, and confidence building. NO ONE GETS DROPPED and NO ONE FEELS LIKE THEY ARE WAITING! 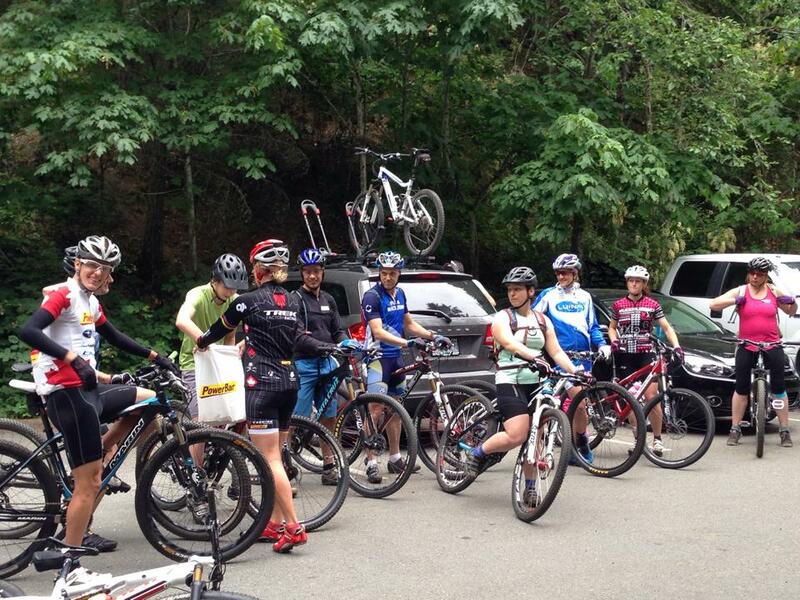 The camp will all be based at Durrance Lake where the XTERRA Victoria event will be held. This camp is skills based, so all of the training will be focused on technique, but will also include a thorough preview of the courses. We will teach you skills to tackle what you will encounter at XTERRA Victoria – roots, rock rolls, hills, and tight corners. All of these obstacles require nailing the basic skills of mountain biking and some good run technique. You will leave the camp with the knowledge of how to train to be better at this sport – not just fitter. Offroad racing rewards technically sound athletes – so we will make you technically better at swimming, biking, running, and transitioning. The camp will start with an OPEN WATER BUOY session. This session will be in wetsuits at this time of the year. Sighting, turns, pack swimming, and entry/exits of the water will be covered. 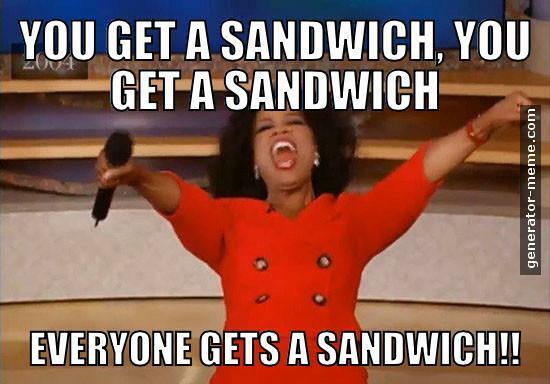 This camp is supported by Clif Bar so we will have snacks on hand to avoid any hangry incidents…and at the end of the camp there will be an all out rock/paper/scissors war for prizes from Rudy Project. We didn’t say it was all non-competitive! Looking forward to meeting you all at Tri The Dirt. Space is limited… so don’t delay. Close your eyes and imagine your ideal coach. Tough, kind, incredibly knowledgeable, totally trustworthy, and maybe a bit of a badass. 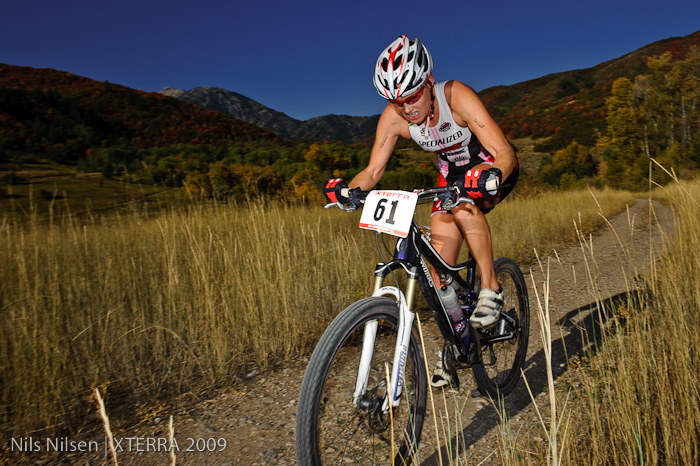 If you just imagined three-time XTERRA World Champ Melanie McQuaid, you are in luck. 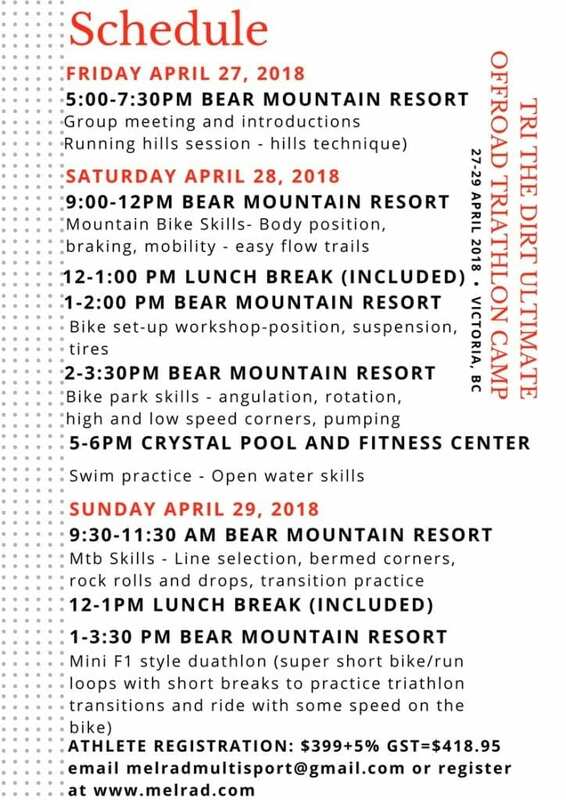 This year, McQuaid will be leading the Tri the Dirt off-road triathlon camp from April 27th-29th at Bear Mountain Resort in Victoria, British Columbia. 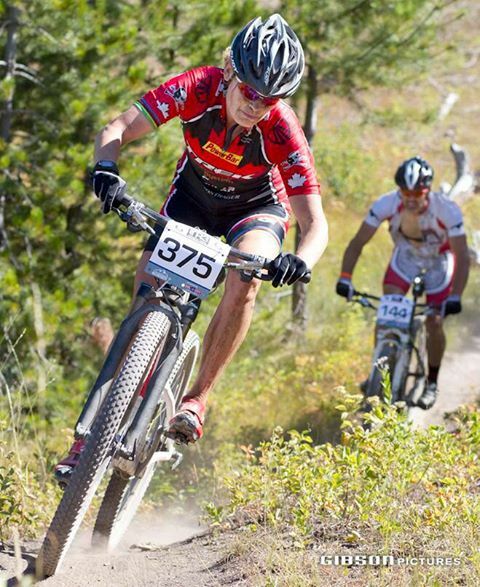 She and former pro mountain biker, Adam Walker will offer intense mountain bike coaching for both beginners and expert off-road athletes. The camp is a natural progression of McQuaid’s coaching and skills clinics. Last December, she offered a swim and run camp that was highly successful. 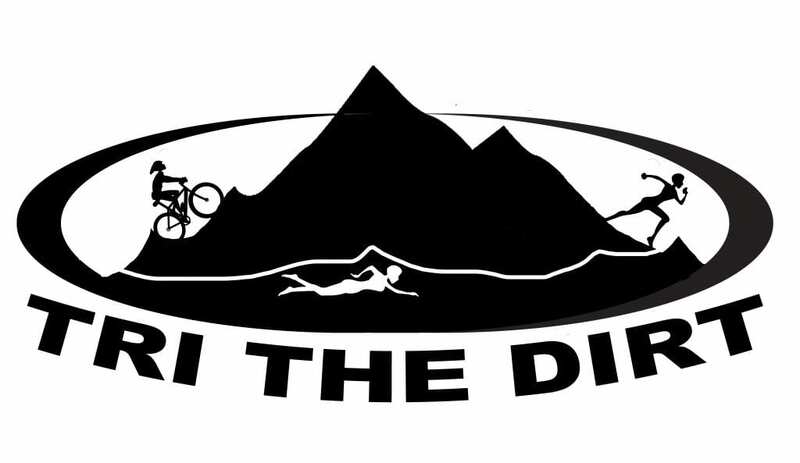 Tri the Dirt Camp will kick off Friday evening with a hill running session and dinner. 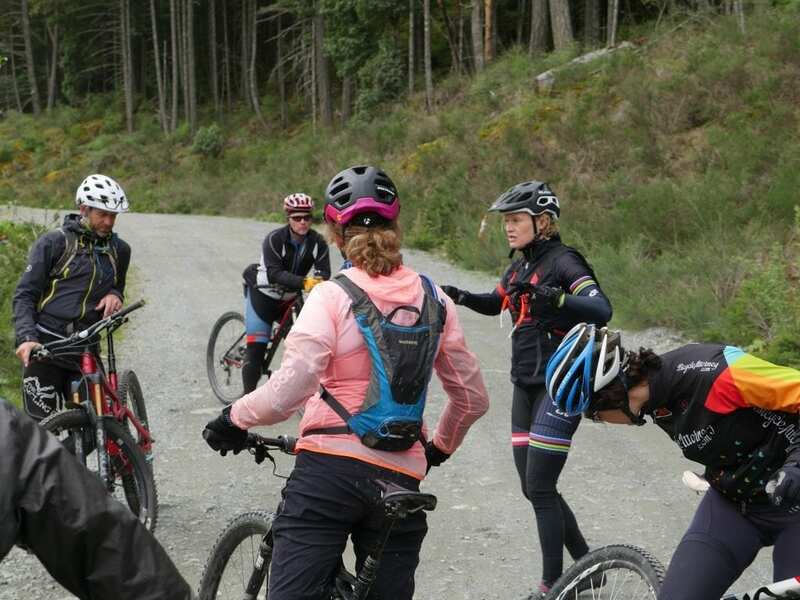 Saturday will begin with a mountain bike skills workshop, a session on bike set-up, and continue with a lesson on skills, including angulation, rotation, cornering, and pumping. The day will conclude with an open water swim practice. Sunday will be equally awesome and will include another mountain bike skills session and a duathlon to practice transitions. But this is also camp, meaning that the weekend is pretty much guaranteed to be a blast.